A landlord has been given a suspended prison sentence following a fire at an HMO in Preston, Lancashire. 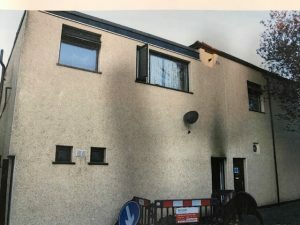 Valli Patel, 74, was ordered to pay £18,455 in fines and costs, in addition to a 24 week prison sentence suspended for 18 months after he pleaded guilty to 7 charges under The Fire Safety Order. Patel, a former county councillor, owned premises at Rutland Street, Preston, which contained a nursery and three first floor flats. 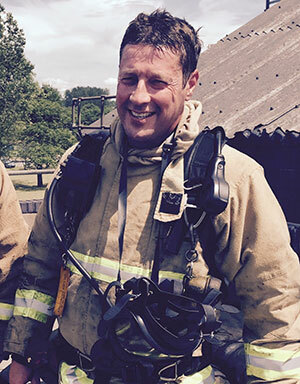 Warren Spencer, prosecuting for Lancashire Fire and Rescue Service told the court that In the early hours of 9 April, 2017, a serious fire started in an electrical meter at the bottom of the single communal staircase to the flats, resulting in the occupiers having to make their escape via first floor windows. Due to the build-up of smoke and heat in flat 22a, Durga Pandy had to take the drastic action of throwing her 18-month-old child from a first-floor window into the arms of her husband on the street below. Both mother and child spent the night in hospital suffering from smoke inhalation. As a result of the fire, a further 4 occupants had had to escape via first floor windows were rescued by the fire service and members of the public after standing precariously on some signage for the ground floor nursery. Mr Spencer told the court that a fire safety inspector had attended the premises following the fire to discover if a suitable and sufficient fire risk assessment had been carried out and to establish if any general fire safety precautions had been provided, and operated, to ensure the safety of relevant persons at the premises. An inspection of the fire alarm system by a qualified fire alarm engineer determined that the fire detectors and sounders covering the flats had, in fact, been disconnected from the system. When interviewed, Mr Patel had accepted that he had never tested the fire alarm system, and that the last time he had heard the fire alarm sound was 8 to 10 years ago. 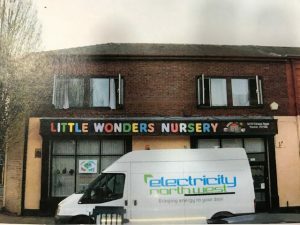 Mr Patel stated that he had assumed that testing the fire alarm system was the responsibility of the Nursery on the ground floor, despite the fact that the alarm was not connected to the Nursery. Sentencing, Judge Robert Altham said that the defendant’s culpability in this situation was high and that the risk of death or serious injury was also high. However, he stated that the defendant had shown that he had a positive good character and was a benevolent and public spirited man in many ways had had a productive working life. He had received references which suggested that in no sense was he a bad landlord. Judge Altham stated that this was a serious matter and that a serious message needed to go out to those responsible for similar types of premises.